Saturday in leafy Warwickshire, and participating in a terrific little festival with Gerry Colvin, Marion Fleetwood, Red Shoes, Celandine, Fred’s House, Daniel Nestlerode … And … And … Oh, my brain’s gone numb! 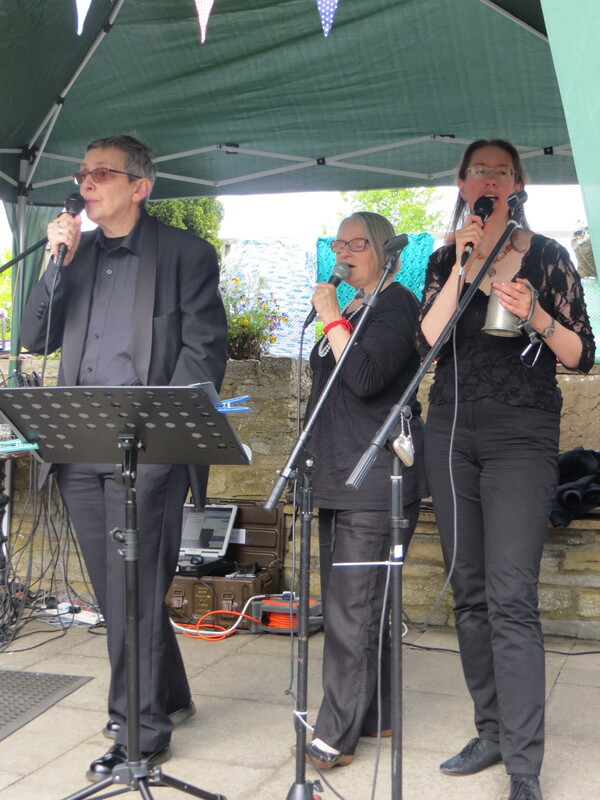 We were thrilled not only to perform in our own right but also to be three-fifths of the Red Shoes backing singers. As we say, “Instant backing vocals, just add beer!” Can we do it again next year, pretty, pretty please? along with a lot of very fine bands. Go on, as they say, you’d be a knit to miss it! Goodness, is it that long since we posted? That scourge of bands, Real Life, has been intruding again – but there has been outbreak of practices recently. 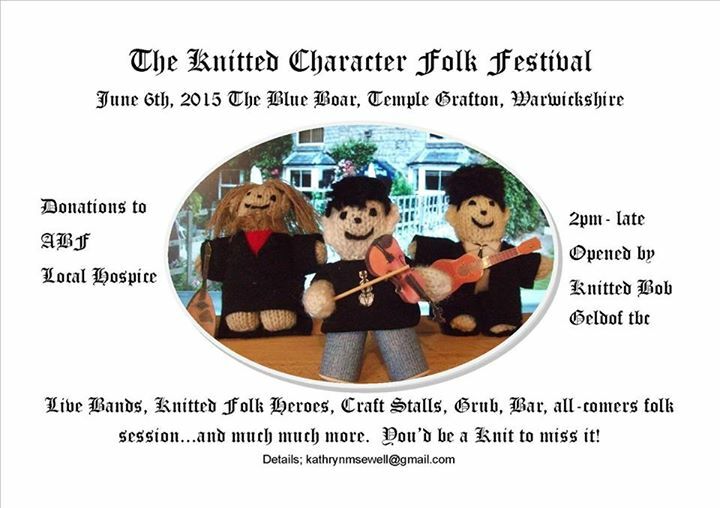 and we have also started putting a set list together for the Knitted Character Folk Festival! Huge cheers for Sue for the immense amount of work she has put in to updating the website over the last few weeks. And today, I am pleased to report that my admin login works, so that’s another little bit falling into place! With only one or two tweaks remaining to put pages into the right directory – we’re live! … I think I’ve got as far as I can, so I think I’d better let the other two have aÂ peruse of my work and, when they’re satisfied, tell Phil that it’s Time To Go Live! !